A doppelgänger can be historical or ancestral. The Ipseity Project is made possible with the support of the Nebraska Arts Council and the Nebraska Cultural Endowment. 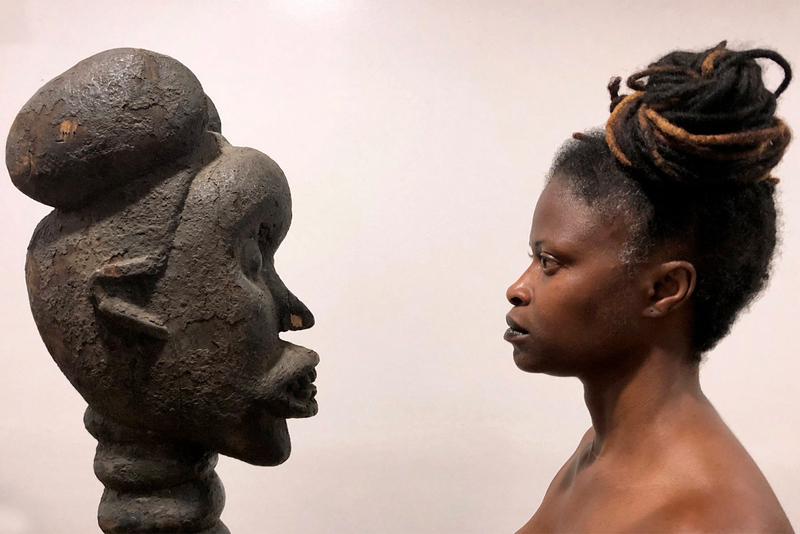 As the second annual recipient of The Union's Wanda D. Ewing Commission, Baltimore-based artist Zoë Charlton uses the concept of the doppelgänger to examine issues of in/visibility in our current society. The doppelgänger has been interpreted somewhat differently over time, from the “spirit double” in ancient Egyptian belief, to a “double walker” in German literature, to a “twin stranger” in the current popular vernacular. Born with a twin brother, Charlton has long been interested in look-alikes and the idea of someone—or something—as a “stand in” for another person. 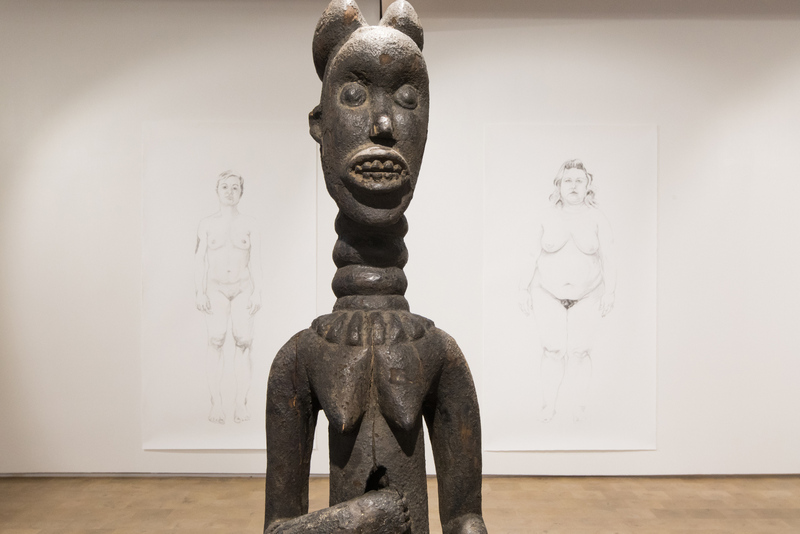 A case in point, The Ipseity Project was inspired by an African female sculpture that Charlton acquired from an antique store four years ago and has since referred to as her “body double” or, more fondly, “Sib.” Attributed to the Bangwa people, the five-foot-tall sculpture is Charlton’s exact height and has other physical likenesses to the artist. 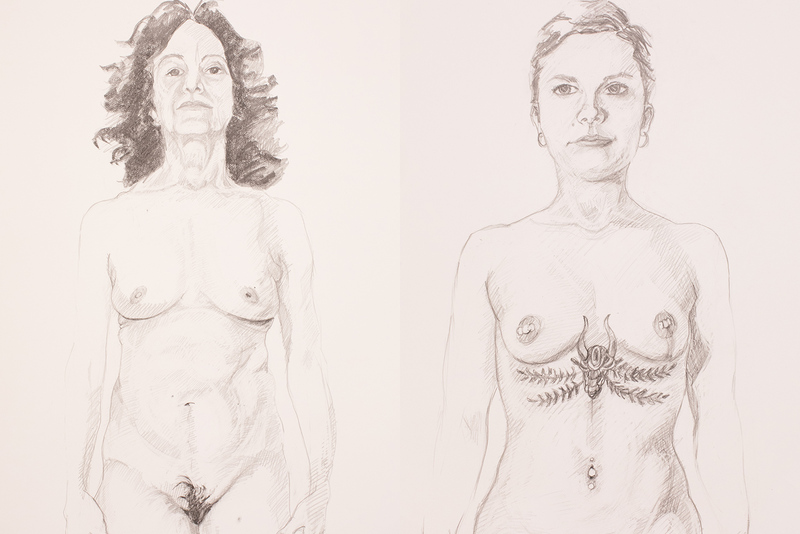 In Charlton’s definition, “a doppelgänger can be historical or ancestral—someone who has similar histories of being culturally appropriated or who embodies you but isn’t exactly the same.” Installed at the center of The Ipseity Project exhibition, Sib represents questions that underlie Charlton’s new drawings: Where do we see our individual identities reflected in visual culture? How does that reflection (or the lack of it) shape our sense of self and sense of place in the world? How do the traditional figures in Western art history influence ideas about who belongs in art now? Zoë Charlton (b. 1973, Tallahassee, Florida) received her MFA degree from the University of Texas at Austin and her BFA from Florida State University in painting and drawing. 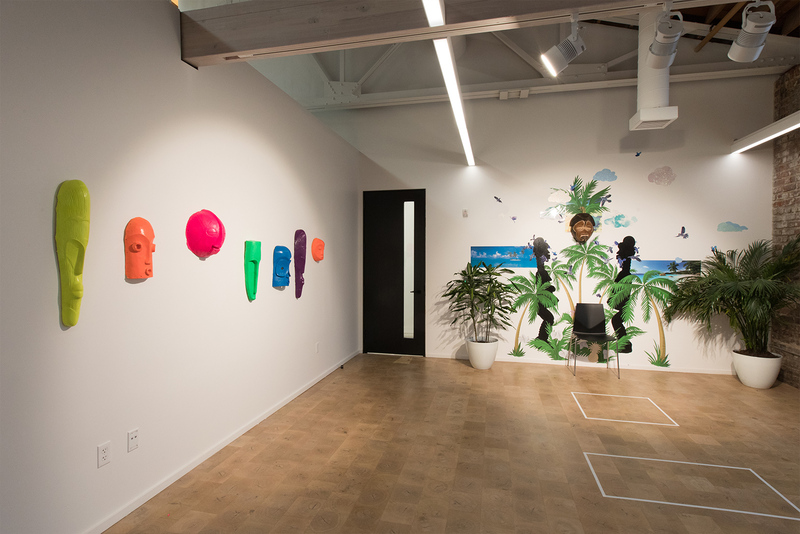 Charlton’s work has been included in national and international group exhibitions at the Contemporary Art Museum, Houston, TX; Crystal Bridges Museum of American Art, Bentonville, AR; The Studio Museum of Harlem, New York, NY; The Delaware Contemporary, Wilmington, DE; Zacheta National Gallery of Art, Warsaw, Poland; Haas & Fischer Gallery, Zurich, Switzerland; Clementine Gallery, New York, NY; and Wendy Cooper Gallery, Chicago, IL. She has participated in residencies at Artpace, McColl Center for Art + Innovation, Skowhegan School of Painting, and The Creative Alliance. 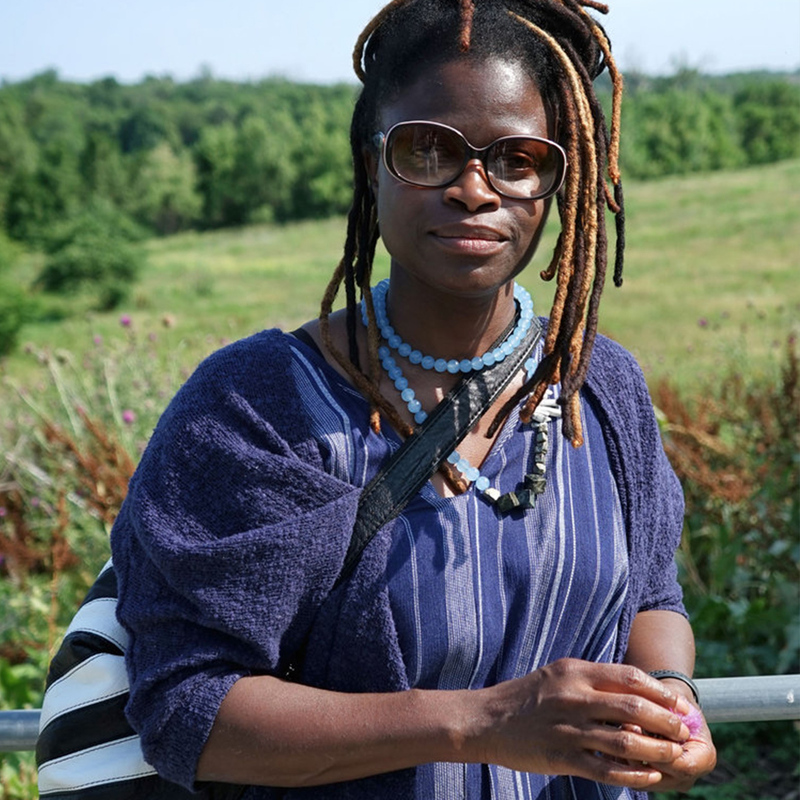 Charlton is the co-founder of ‘sindikit, an artist project space in Baltimore, and sits on the Maryland State Arts Council. She is an Associate Professor at American University in Washington, D.C.